When harmed by the negligent, reckless or intentional conduct of others, you are entitled to seek compensation from that individual or entity. However, people who try to pursue injury claims on their own often run into roadblocks, settle for too low an amount, or cause irreparable harm to their case. That’s why hiring an Ocala personal injury lawyer is in your best interest. 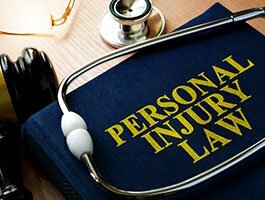 The more serious the injuries, the more important it is to hire a qualified personal injury lawyer to take up your cause. TheKing Law Firm handles a wide range of cases, representing individuals and families in Ocala, The Villages, all of Marion County and surrounding areas of Central Florida. We invite you to explore your legal rights and remedies in a free consultation. We have a record of notable recoveries for clients for a wide range of injuries, from broken bones and other serious injuries to those causing catastrophic harm such as brain or spinal cord injuries. Whether your case is big or small, you will receive the focused attention and zealous representation of an Ocala personal injury laywer in the pursuit of full, fair recovery of damages. Our local attorneys are familiar with the roadways, the courts, local traditions, codes and ordinances and other factors in your case that an attorney from elsewhere would not understand. Our focus in personal injury provides the in-depth understanding of the law and insurance issues that make the difference. Our proven trial skills help us advocate for clients in or out of court. We believe that results matter, but we also believe that personal attention and service matter. You will work directly with one of our lawyers, rather than being passed off to a paralegal. We are committed to maximizing your compensation and keeping you informed and involved in the process. Contact the King Law Firm by calling 352-629-8747, or by emailing our law offices. We can visit you in your home or hospital room if necessary. Initial consultations are free, and we represent clients on a contingency basis.